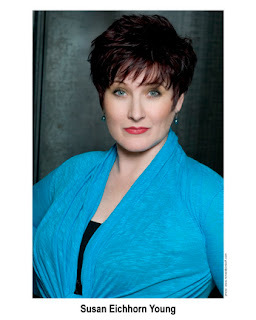 Susan Eichhorn Voice Studio will be offering Career Consultations in 2012. An informed and objective evaluation of your present state of development. An opportunity to have access to other professionals in the field of your choice - be it opera, classical music, theatre, music theatre. Are you able to articulate and visualize your goals? What else do you THINK you need to do to get closer to those goals? Are you prepared for the business? Do you know what the business requires of you? Have you accessed all you can to have a complete package to present? Are you aware of short term vs long term goals? Artistic vs business goals? Are you being realistic about your goals? Why? What makes you think so? Are you ready? If not, what do you need to DO to attain the next level? This consultation will meet you where YOU are! It will help you to re-evaluate where you are, and if need be, make adjustments to your perceptions about YOU and your relationship to the business and about YOU and your relationship to your craft. I work to help you to create more objectivity in the development of YOU as artist and YOU as business-person. I work to help you find more definition in your goals, more definition in where you are now, more definition in where you hope to be. We assess TOGETHER. We discuss and create scenarios and possibilities, learn what is needed in study, business, and how to develop good instincts. We begin to discover what can happen NOW and begin to uncover that reality as it pertains to YOUR ability, YOUR development, YOUR talent and YOUR career. Are you presenting yourself in the best possible light? Do you know what you want? What is that? Are you projecting what you really want to project? If you are not, what do you think is getting in your way? How do you remove road blocks honestly and truthfully to reveal your own path? You are unique. We will address how to make that an asset. Consultations are available in person through my New York City studio, and via Skype for those out of town. I will be offering Career Consultations in other cities in 2012.
susaneichhornstudio@gmail.com with your head shot and resume.